The cathedral was built in 1556-1562. The cathedral address: Russia, Kazan city, Kremlin. The monastery was built in 1552. The cathedral address: Russia, Kazan city, Zilantov mountain. The complex was built in 1807-1825. 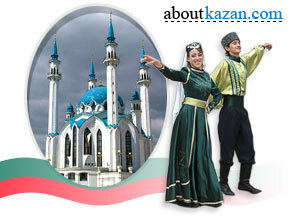 The address: Russia, Kazan city, B.Krasnaya Str., 5. The cathedral was built in 1693-1703. The cathedral address: Russia, Kazan city, Bauman Str., 5. The monastery was built in 1687. The monastery address: Russia, Kazan city, Dekabristov Str., 98. The cathedral was built in 1695-1700. The cathedral address: Russia, Kazan city, Dzhalil Str., 21. The church was built in 1831. The church address: Russia, Kazan city, B.Krasnaya Str., 1. The cathedral was built in 1731-1756. The cathedral address: Russia, Kazan city, Bauman Str., 78. The church was built in 1798-1799. The church address: Russia, Kazan city, Tukaevskiy alleyway, 4. The church was built in 1796. The church address: Russia, Kazan city, Ershova Str., 25. The church was built in 1779-1880. The church address: Russia, Kazan city, K.Marks Str., 67.